Composed of durable stoneware to ensure even heat absorption, this nine-inch Ruffle Top Pie Dish will wow any home baker. 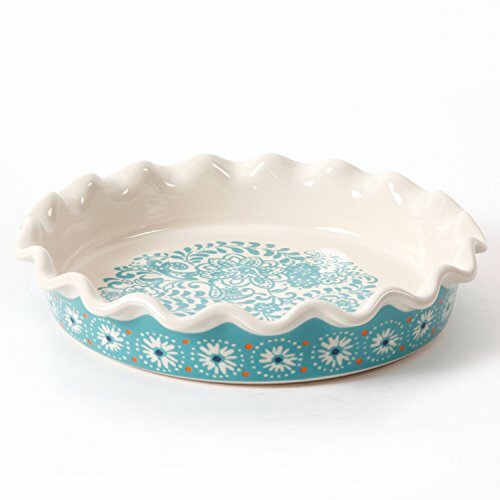 The gorgeous floral pattern rounds out this lovely dish to create a truly special addition to the baker's kitchen. If you have any questions about this product by The Pioneer Women, contact us by completing and submitting the form below. If you are looking for a specif part number, please include it with your message.